Swiss Group Investigates Possible Collusion Of Precious Metals Market | Sell your Scrap Gold and Silver online. Accusations or collusion in the extremely lucrative precious metals market has resulted in an investigation by a Swiss watchdog group. The price of gold and silver has fluctuated in the past couple of years, and this investigation could discover that the price changes are the result of metal benchmark manipulation conducted by various banks around the world. The named financial institutions in the probe so far are Deutsche Bank, HSBC, Barclays, Morgan Stanley, Julius Baer, and UBS. More names likely to be added to the list in future. They are under suspicion of engaging in agreements to set or fix the price of precious metals. 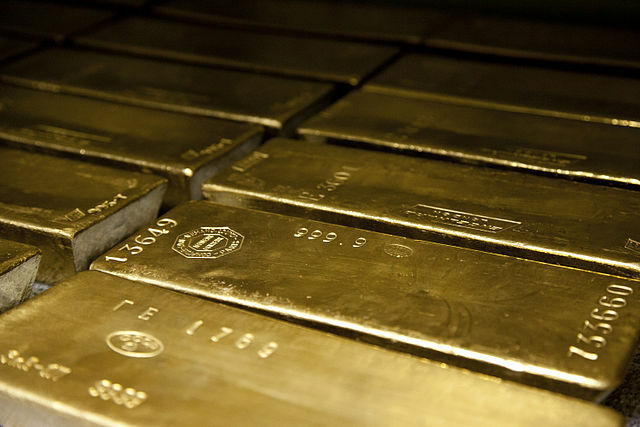 This could have a drastic impact on gold and silver investments all over the globe. The investigation should conclude in 2016 or 2017. Any banks found to have engaged in collusion will be levied severe penalties and fines. Illegal practices by banks in regard to precious metals is nothing new. Earlier this year, four banks admitted manipulating forex rates for their own benefit and were fined a total of six billion dollars. Barclays was fined 26 million pounds for allowing certain traders to manipulate gold prices. If Barclays is found guilty in this new probe, it could cost them even more. The United States is also conducting an investigation into gold and silver price fixing. Many large US banks are suspected of rigging the market. Deutsche Bank and Julius Baer have both said publicly that they are responding to the Swiss watchdogs request for certain information. UBS, Morgan Stanley, and HSBC have not yet commented on the current investigation. Press reports about unfair trading practices in the European Union a month ago has sparked the flame of this inquiry. The unethical spot trading by various groups led to the Swiss probe. The general consensus is that collusion did occur. The extent of the actual effect on gold, silver, and other precious metals is yet to be determined. This entry was posted in News and tagged gold investment, Silver Investment, Silver prices on October 2, 2015 by SilverPrices.com Editorial Team.